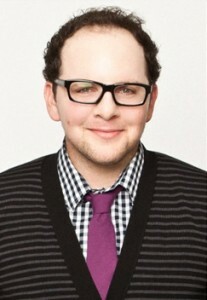 Fellow beasties will recognize this actor – he stars on one of this season’s hottest shows, Beauty and the Beast. Working alongside Kristin Kreuk and Jay Ryan, he charms his fans as JT Forbes, the funny and loyal confidant of “the beast.” Tribute chatted with him to find out about the show’s second season and how his character evolves. What is in store for the B&B fans in Season 2? AB: There’s a lot in store; for my character specifically, JT Forbes, you’re going to get to see a lot more of who he is by the circumstances that play out and also by some revelations of the past that make him more three dimensional and exciting to watch. But with the show as a whole, there’s a whole new deal as Vincent has been reprogrammed and he thinks he has got Muirfield out of the picture. The question ultimately comes down to who he is and who he chooses to side with. And I think that’s exciting for an audience that has fallen in love with these characters from season one. Tell us about the relationship that develops between JT and Cat? Do you have more lines together now that you’re on the hunt for Vincent? AB: For the past three months, before we pick up in season two, JT and Cat have been working hand in hand to find Vincent and have developed a rapport from their relationship in season one. This is not to say that down the line there won’t be obstacles between them that cause divisions and arguments. But that’s how all relationships evolve. What’s the dynamic with Gabe and JT? AB: I don’t think a bromance between Gabe and JT will develop anytime soon because JT still has animosity and a bit of a grudge. Gabe is a guy who, when push comes to shove, tried to kill JT’s best friend last season and so that’s not easily forgiven. Gabe has a lot of making up to do. The top priority of the circumstance is Vincent’s well-being and JT is forced to put those feelings aside to save Vincent. Other than that, the two aren’t going for coffee or to the movies anytime soon. Do you think there’s a chance for Tess and JT? AB: Yeah, I think there’s definitely a chance. There’s a scene in episode two of the new season when they realize that their lives have been negatively affected by the problems of their best friends. The truce that develops between JT and Tess is, at this point, platonic. But who knows what it can lead to because they both have that sense of humor and cynicism. What are your expectations for JT in the new season? AB: My expectations so far, with the scripts I’ve read, have been met; you’re getting to see a different side of JT every episode. His hacking skills have been put to the test and people know his scientific side because he is a professor of bio chemistry and he is a doctor in his own right. But it’s an interesting dynamic between JT and Vincent that continues in the next episode when a person from Vincent’s past comes back into the picture. It challenges their relationship because JT is still trying to help Vincent remember him and their friendship. At this point, without Vincent, JT doesn’t really have anyone. That’s an interesting story line to follow. AB: The character has a slightly different sense of humor than I do. He is a lot more aggressive that I am. I am a little passive aggressive and he is more outspoken and aggressive. But I try to bring whatever I see in myself that aligns with the character – I try to bring my own personality to it. That sense of humor allows me to lay into those one-liners and jokes a little more easily. I try to bring my sense of loyalty, friendship and family to fill out JT’s character in a three dimensional aspect. I’m definitely not as computer literate as JT – I’m not a hacker and I’m not going to be investigated by the government, but JT might. Also, my knowledge of science is minimal compared to JT. Since November is Diabetes Month, can you tell us how diabetes has made an impact in your career and lifestyle? AB: Type 1 diabetes has definitely made an impact. I’ve been a type one diabetic for over 28 years, right before I turned nine. Now, JDRF is trying to find a cure, but in the meantime they have developed these amazing technologies that allow people with type one diabetes to live a little more comfortably. The organization is a world leader in fundraising since 1970, raising almost two million dollars for type one diabetes research. I just did a walk on Sunday that raised over a million dollars. And the next level for them is to have artificial pancreas attached to a smart phone so that people can simultaneously, with their doctors, manage their treatment. Kids should know that there are adults who have lived for years past their youth and succeeded in all these careers and they can do whatever they want to. Type one diabetes diagnosis should not sidetrack any hopes or dreams parents have for their kids. It taught me how to manage my diet and exercise. Yes, kids with diabetes have to grow a little quicker but if they’re able to manage their diet and blood sugar levels then they can have the same childhood as other kids.